DreamWorks’ Kung Fu Panda 3 released early to Digital HD, five weeks ahead of the Blu-ray, DVD, and rental options available on June 28th. This is much earlier than most films get digital releases, which is usually about two to three weeks ahead of the discs and on-demand. Some digital services are offering bonus material with the purchase of Kung Fu Panda 3 in Digital HD including iTunes and Vudu. And, Vudu is doing something different with this digital release. They are including a Blu-ray copy of Kung Fu Panda 3 with the purchase of the Digital HDX combo ($19.99). The physical disc will be shipped by Walmart when it releases on June 28th. 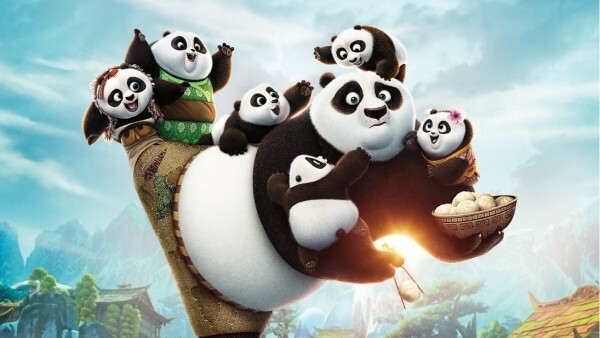 Directed by Alessandro Carloni and Jennifer Yuh Nelson, Kung Fu Panda 3 stars Jack Black, Bryan Cranston, and Dustin Hoffman.